Today I am eager to introduce you all to my favourite candle-maker, Rebecca Stobart from Taken Moons. As a nosy person, I have always been interested in hearing how bookish candle companies get started and so what better way than to go right to the source with an interview! 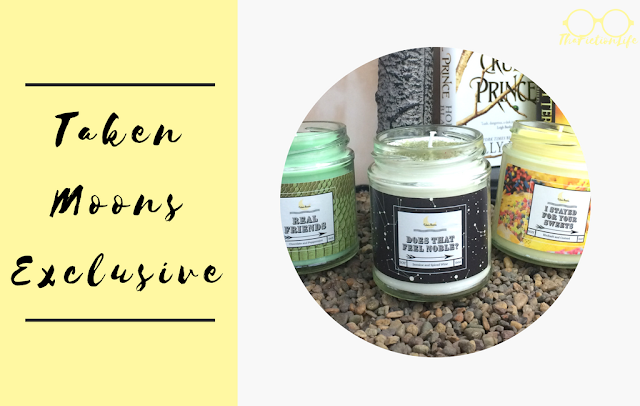 I have been lucky enough to sample some of the candles from Taken Moons, they smell exquisite and my reaction during my unboxing was somewhat unhinged looking, THEY'RE THAT GOOD. If you're intrigued by any of the candles (at the moment my favourite is the Cursed Child design if you'd like a recommendation! ), you can use FICTIONLIFE10 to get a discount. 1. 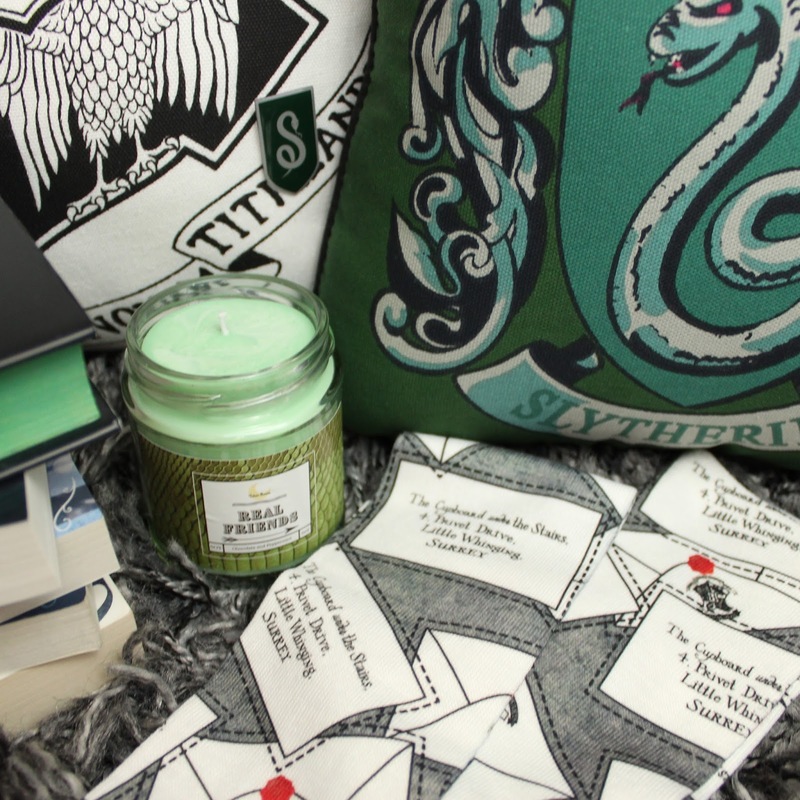 Why did you start a bookish candle company? I bought a lot of candles myself before starting my own shop, so I know the sort of things that sell because I spent too much money myself in the past, it was like I was doing market research... Really I just have a bit of a collectors complex, but I do think it has helped me find gaps in the market, like with contemporary books or UKYA for example. 2. How do you decide which books to base a candle on? I design the sort of candles that I would want to buy. My first candle Life Finds A Way, I designed because at the time there were no other Jurassic Park candles in the UK and I wanted one, I always search on Etsy to see what is already available before I do anything. Other times my friends have suggested things, or in the case of my Harry Potter candles, it's just something I really wanted to do. 3. Is it difficult to pick scents for each design? How do you go about this? Sometimes I find the scents when I'm reading a book, it's like a jackpot moment because I know I can be as authentic as possible. It is a lot of fun to imagine what a world would smell like, or deciding what fragrance a character would wear. 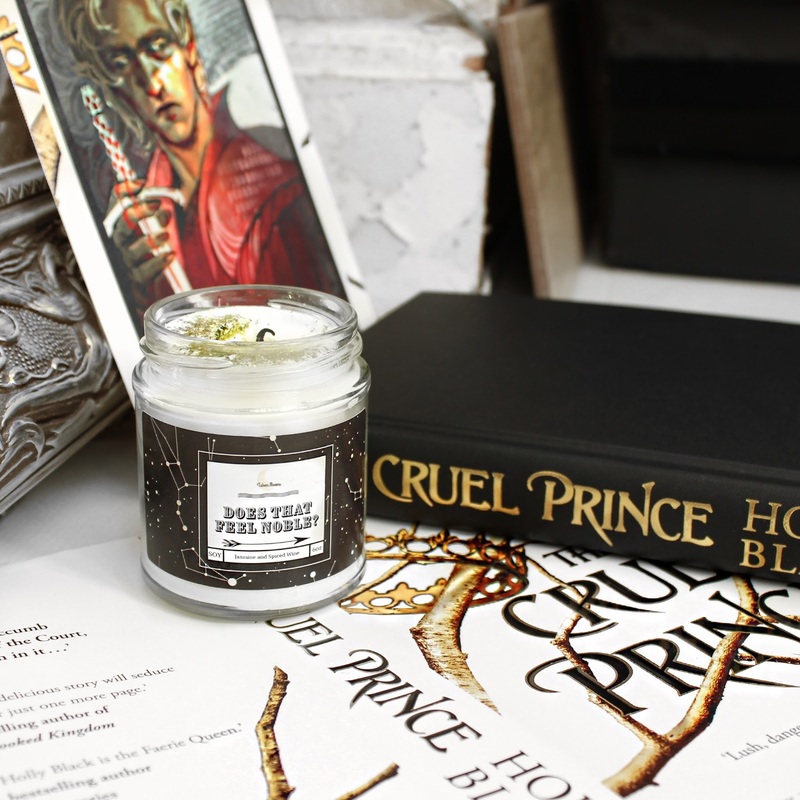 One of my favourites to design was the Prince Cardan candle, designing a scent that was natural but also musky and manly, it's a lot of imagination and trial and error, but there is a great catalogue of scents available and I feel like a potions master mixing them. 4. How do you balance running a business alongside other commitments? Balance? What is this... Okay, I'm only working part time at the minute and work evenings and weekends, so I make candles through the day and go to work at night. It means I'm pretty exhausted most of the time and sometimes I struggle to fit in my blog and books, but lately I've gotten better at that and having a social life by making larger batches of candles. After a few months I know what sells, so I know what to batch make, then I end up having a couple of free days to do other things. It's again trial and error, I've got a routine at the minute and it seems to be working so fingers crossed. 5. Do you have a favourite candle or scent? I have two favourites right now. One is my first candle, which as I mentioned before is the one I designed for Jurassic Park. It smells like a tropical island rather than dinosaurs, because I don't think a candle that smells like blood and meat would sell all that well. My second favourite is my new candle for Malec (Magnus/Alec) I wasn't sure whether to even release this one because a lot of other shops have it, but Aku Cinta Kamu came to be while rereading The Mortal Instruments, it's inspired by a very angsty scene which I thought would be unique enough to get me by. Plus I love the scent of roses and I wanted to use rose petals for my favourite couple... Even if there is a number of candles for a character/book, I still try to make what I would like the most because candlemakers seem to come up with different ideas for the same themes and I've started collecting other shops candles. 6. Any hints for any upcoming designs? I have a couple more Shadowhunters designs planned, including another Dark Artifices candle and a couple for The Infernal Devices, I have some Rick Riordan designs in the works and I'm very excited about some Gothic Lit candles, one in particular that I'm sure anyone who knows me can guess. I would also really like to branch out into doing pop culture designs too and maybe anime. I'm always open for suggestions of course! 7. Could you tell us more about your bookish boxes idea? The idea behind the boxes is being able to list candles that follow a theme because I really like the idea of being able to focus on something and not seem like I'm flooding my shop with a specific niche. You get four candles for £16, usually these candles are priced at £6 each, or you can get four candles and a selection of other goodies for £22. My Dare To Be boxes are all LGBT+ themed candles, which from the positive reaction, is a niche at all which is great because it shouldn't be, but in the future I have themes like super heroes, anime etc and not everyone will be on board I'm sure. It's a chance for me to do some actual market research, once the box has gone out, I'm going to get everyone to vote which one of the candles they would like to see be a permanent addition to the shop. The Dare To Be box is going on sale at the end of the SundayYA chat on April 29th!